Don’t turn a blind eye to our dazzling selection of blinds on the Central Coast, here at Patios Coast2Coast! What’s better than relaxing or entertaining guests outdoors, in the beautiful sunshine? Doing so while protected from the glare of the sun and free from pesky insects! When the weather turns, your focus shifts from sun protection to rain and wind protection. Luckily, our selection of Zip Screen Blinds cover all bases. 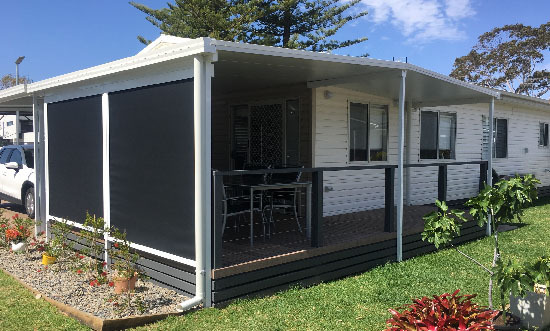 Stratco Ambient Blinds have been specially designed for alfresco entertaining areas, so whether it’s a pergola, verandah or balcony, they’ll give you exceptional privacy and protection all year round. 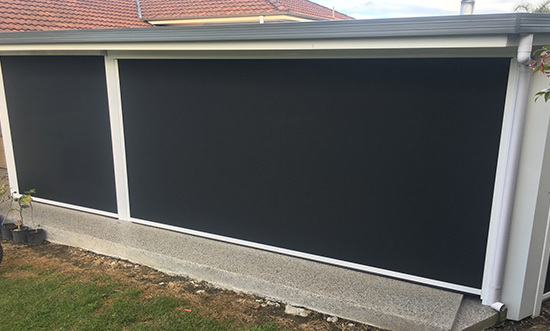 Our range of outdoor blinds are available in a number of colours and styles and are designed to offer protection across the full range of outdoor distractions that take your focus away from enjoying your beautiful outdoor space. Forget about sun glare and insect invasions at the touch of a button. With added heat control and UV protection you get to enjoy the best of the Australian summer on your terms. 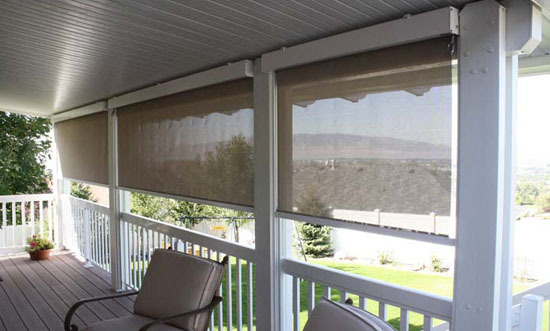 Installing retractable Zip Screen Blinds outdoors gives you peace of mind. 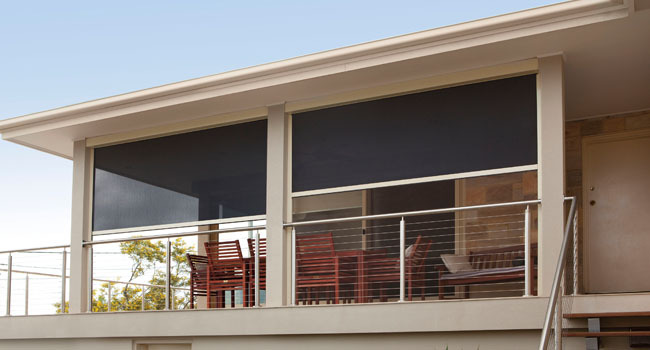 From protection to privacy, our range of ambient outdoor blinds enhance your lifestyle, all year round. 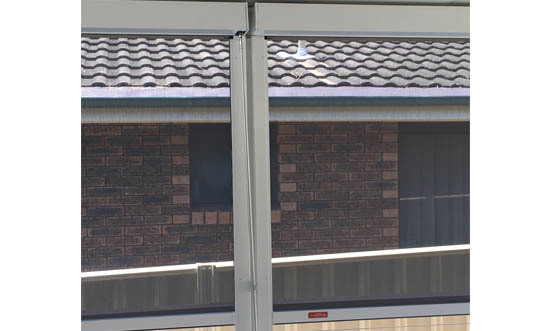 Patios Coast2Coast is proud to offer these high quality products from a respected brand, and we’re the best company to turn to if you want someone to supply and install ambient blinds on the Central Coast. Our technicians provide a reliable and experienced service and can help add a touch of style to any outdoor space. We’re very versatile when it comes to your blinds. 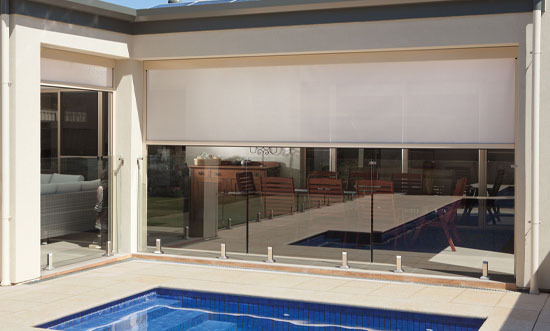 Choose from a low profile, rigid aluminium headbox that neatly covers the retracted blinds completely, or opt for an open style where the rolled blind remains visible. There are also 12 different colours and 3 different fabrics to choose from, as well as remote or switch activated, motor-driven blinds. 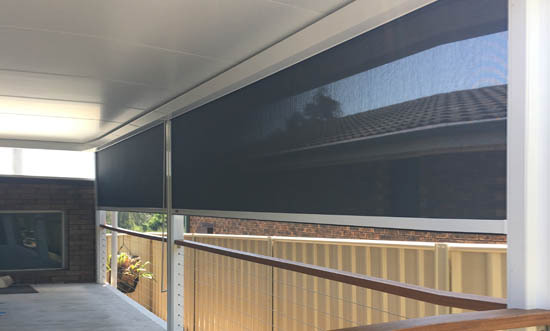 Our outdoor blinds on the Central Coast give you complete control over your outdoor space.